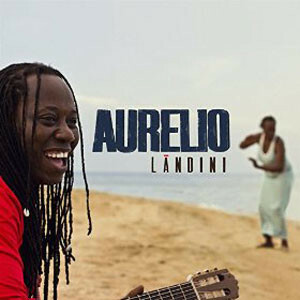 The elemental rumble of the primero (tenor) and the segundo (bass) of the Garifuna drums announce the magnificent attack of Aurelio Martinez’s music on Lándini. It echoes with the smashing of waves of the warm waters of the Caribbean Sea on his Central American country of Honduras. The music of the waves seems to make every speckle of sand laugh and sing and resonate with laughter and longing of a people blessed with the most immaculate freshness of spirit. It is an ethos where people from West of Africa were brought over by the French and Spanish and who intermingled with the indigenous Arawak peoples making for a high spirited Garifuna culture. Here the rhythmic jumping of fish in the swelling nets is coupled by tumbling waves and the hissing of the surf informs a music that is filled with laughter, longing and the impulse to dance. The shy swishing of hips, rocking to the rhythm of the Garifuna drums informs the laughter of this music while the high and lonesome wail of the guitar melds this laughter with longing… a longing for love over heartache and happiness over anguish. This is the music of the Garifuna. It is also the music of Aurelio Martinez, one of the youngest griots to come out of the Garifuna of Honduras. Aurelio’s music like that of his ancestors came from his mother, a woman who taught him laughter and forgetting; to appreciate both happiness as well as heartache. It is this upbringing that characterizes his music and everything that he brings together in it to entertain with everything that is splendid and unforgettable. In its unambiguous straightforwardness his songs find remarkable profundity. They often carry the double meanings with which he, like his peoples, embrace life’s happiest incongruities. This is often experienced in the melding of love and exasperation and between happiness and elemental anguish. 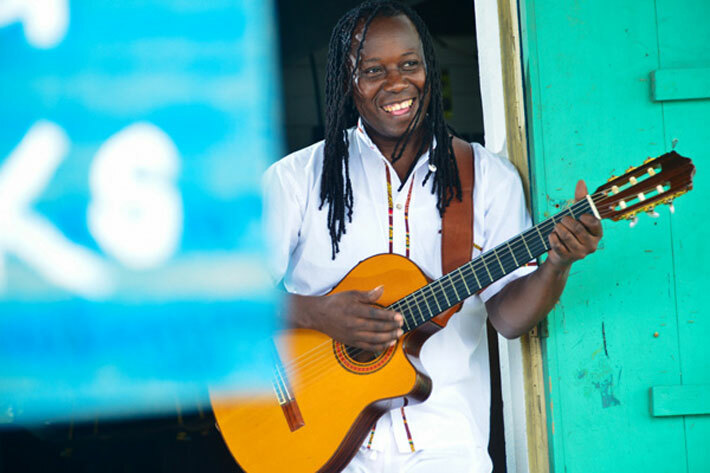 As a classic Garifuna troubadour Aurelio’s music melds to streamlined faultlessness the combination of remarkably upbeat, vibrant rhythms with forlorn, heartfelt melodies. In this way he communicates the exuberant Garifuna culture which exists in splendid isolation not only in Honduras, where the singer comes from, but also in Nicaragua, Guatemala and Belize. Having traveled the world with the great Afropop star Youssou N’dou, Aurelio returned home to Honduras to conjure up the remarkable imagery of his music that tells stories of the affectionate collaborative bond between mother and son. It can also sing of heartbreak and lament the death of one as beloved as Aurelio’s friend and troubadour Andy Palacio. In the Garifuna culture everyone is able to interpret a song via his or her own experience, but it is troubadours such as the teasing Aurelio that resurrect the imagery in a fabulous and memorable manner. This recording reflects the return of one of the favored sons of the Garifuna of Honduras. The music soars in the delightful countertenor of its singer. It is full of remarkable colour and timbre. To the Western ethos this would look like a myriad of riotous colors in a roaring palette. But that is how the Garifuna stand out against the infinite blue of ocean and sky. And in “Irawini” and “Darugubei Mani” this is how Aurelio sets himself apart with character and gracefulness from the troubadours of the rest of the music world.